I don't know what else to title this post. But fellow mamas of the world ... we've gotta talk. When I was pregnant with Bubby, I had this strange pain that began around 30 weeks gestation. It first happened after a long day at a family member's wedding. We did a lot of walking and I wore dress shoes the entire day. So I chalked it up to that. Chalked what up to that? I know you're wondering. So I'll just say it. That's right. Your eyes haven't deceived you. That up there is the word "crotch." You know, that place where your legs come together? Yes, that's the one. The next day, I woke up with an excruciating soreness in my nether regions. It was like nothing I'd ever felt. I couldn't separate my legs without screaming. It felt as if someone had kicked me down there 100 times while wearing a steel-toe boot. Or maybe as if I'd been beaten with a baseball bat. Or at best, like I had ridden a horse across the entire United States the night before. Pubic bone pain in pregnancy is also know as Pubic Symphysis Diastasis. This is where, usually in later pregnancy, the hormone relaxin causes the pelvis, particularly at the pubic bone, to loosen. In general, this is a good thing as it makes birth easier for mom and baby. However, sometimes the separation is exaggerated and can become quite painful for the mother at the end of pregnancy or in the early postpartum period. So, that's what I had. An "exaggerated" separation of my pelvis! At least I was going to live. This pubic symphysis diastasis made the end of my pregnancy especially difficult. Everything -- putting on pants, rolling over in bed, using stairs -- hurt like mad. If you wonder why pregnant women waddle, now you know. And then. Well, you know how when you're about 38 weeks along and you're at your wit's end, trying anything and everything to get the baby to come out, the best advice anyone can give is to grab your husband and "get busy?" Well, imagine getting busy with a broken crotch! But I was so desperate to have my baby, I didn't care. Even though I feared my legs might actually separate and fly across the room during the course of the, um, activities. Several moms I talked to lamented their frustrations about this little-discussed pregnancy phenomenon. But the ones who had multiple babies all agreed it started earlier with each subsequent pregnancy. And they were right. It's already made its debut this time around! 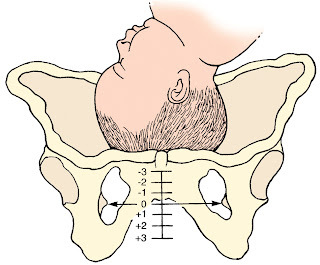 Yes, my pelvis is now pre-programmed to separate when it senses a baby is in the vicinity. So, even though I am only 18 weeks along, MY CROTCH ALREADY HURTS AGAIN. If you have had the privilege of bearing a child and didn't experience this horrific pain, consider yourself blessed. And if you haven't had a baby and this is the first time you're hearing about The Dreaded Crotch Pain, I apologize in advance. Maybe you will escape it. Maybe you won't. But if you don't, just know I feel your pain. Quite literally. Bring on the ice packs and donuts (the little cushion ones upon which you place your buttocks. But the edible kind are welcome, too). We've still got 22 weeks left of this madness! But something tells me it'll all be worth it in the end. And it sure beats the headaches and nausea! Ouch. Yet another lovely thing to look forward to that I had NO IDEA even entered the spectrum of pregnancy. I think this is the reason all those cute and innocent little 17 year olds all coo and say "I wish I had a baby!" They know nothing of the excruciating pain they would have to endure. I think the longer I wait, the less jaded I become. I better start having kids before I found out much else or they may never come to earth at all. Yikes. So sorry! That does not sound fun at all. I didn't have that problem, but I did have problems with my psyatic nerve problems.. so my bum and back of legs would kill and almost be numb. So different but not fun pain all the same. Yep BTDT! And it hurts like HELL!!!! NO excuses for my swearing it really does hurt that bad! Sorry you are going through this. It does hurt and no matter what they tell you, there is no relief except for child birth. Find some ways to relax and hopefully it won't get too bad. I think you know how early that crotch pain started for me. So early me doctor had to do a pelvic exam at 27 weeks or so just to make sure my baby wasn't actually falling out. I can almost start to cry just thinking about that pain. I used to freeze a soda bottle full of water (the 20 oz size) and then stick it between my legs while I cried on the couch. I'll be honest, it didn't help that much but I kept doing it. :) Hang in there! Okay, thanks for making me all nervous! My crotch has been kinda achey, but I'm only 17 weeks so I gotta think its something else. Dang, my sisters never told me about this! Oh man...I had that with my 3rd pregnancy something fierce! There were days I couldn't even walk up and down the stairs (and living in a 2 story house, that's a problem). Fortunately, by some miracle, I didn't have it at all with my 4th. The second time around, mine started way earlier too. So much fun when you work full time and have to truck it up and down stairs. Luckily, I had it for about a month and a half, then it abated for a while, and didn't come back until the last few weeks of pregnancy. So maybe you'll get a break? Good luck! I guess I should tell you that it started at 9 weeks with #3 in my case, huh? It didn't really get much worse though, and I started learning a lot of ways of dealing with it or lessening it. So here I am at 23 weeks and some days I almost don't even feel it, other days when I have done a little too much (which really isn't much these days, maybe grocery shopping and taking the boys to the park for half an hour) then it gets really bad and I have a hard time even sleeping because I am in such agony. But I know its worth it and it will go away! I'm sorry you are suffering from it too! So I didn't even get pregnant until MONTHS after you wrote this so I kind of tucked it away in my mind after I read it and boy am I glad I did. Well, here I am almost a year later, suffering the same pain, glad to know that I am not the only one and that my body isn't falling apart! :) So... thanks!